Marketing technology is a fierce and complex business. You need to understand the current zeitgeist of the population and how that can be translated in to a piece of ‘must-have’ technology. 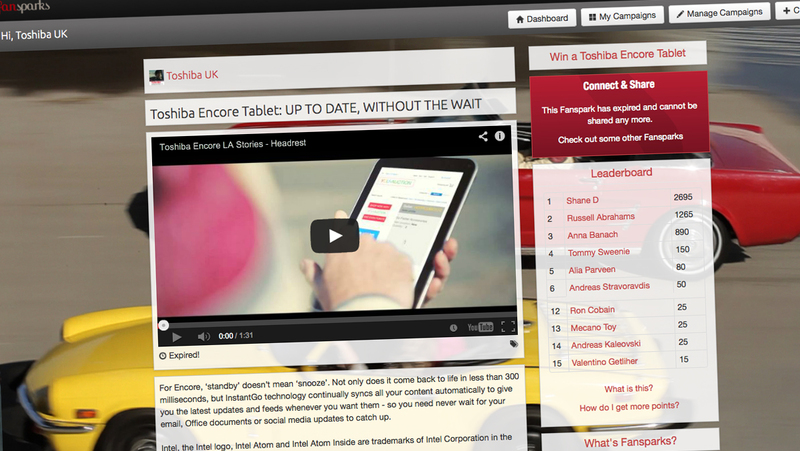 Toshiba launched their new Encore Tablet and as part of the campaign looking to extend views and shares beyond their current audience and into the Fan-to-Fan network. They decided to use The Island’s own social sharing platform, Fansparks, which has been proven to create new Fans through your own current, engaged, audiences. 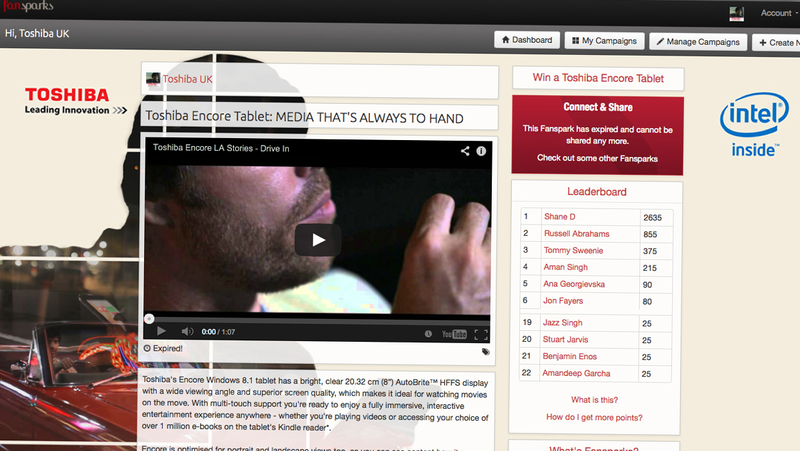 It would also be the first time Fansparks was used for marketing technology. The Noir campaign consisted of 6 “key feature, benefit led” videos that each had their own Fanspark and all sat under the Toshiba UK Fansparks account profile. 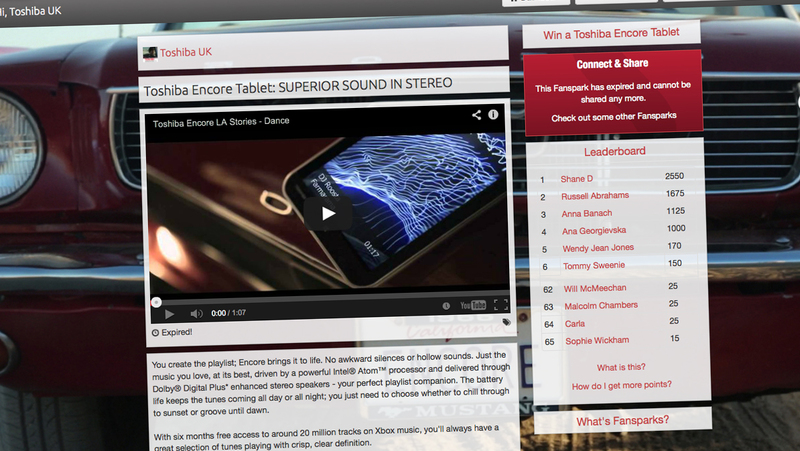 The campaign incentive was a leaderboard promotion with the Fan with the largest amount of points (generated via clicks, shares and re-shares) over the 6 Fansparks wins a new Encore tablet.